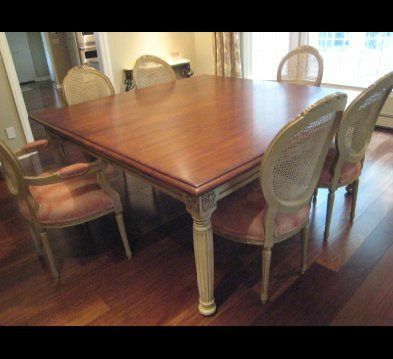 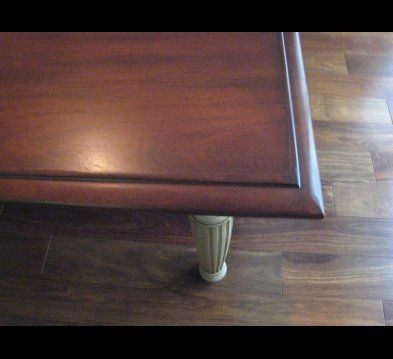 This custom table has a solid wood Mahogany top with a durable urethane finish. 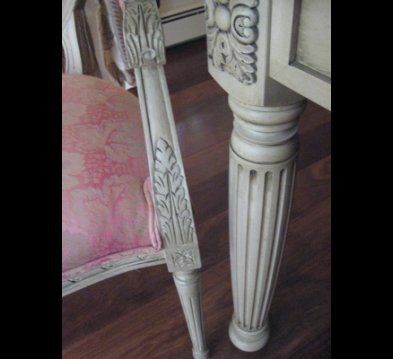 It's base is built with solid hardwoods with an antique white finish. 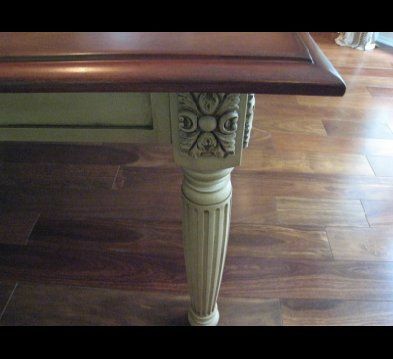 Let us build a table that would fit your space perfectly.